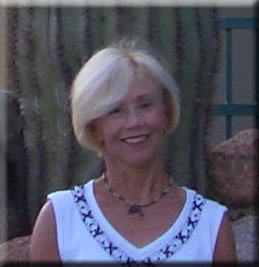 Mary received her Ph.D. in Curriculum and Instruction from Saint Louis University, Missouri in 1996. Her study emphasis was understanding compliance to exercise and weight management. She received her B.S. and M.S. in Physical Education from West Virginia University. Mary holds certification in Aquatic Therapy & Rehab, Aquatic Exercise, Yoga, Pilates, Ai Chi, the American Council on Exercise, Myers Briggs Personality Inventory, and multiple Instructor Trainer authorizations with the American Red Cross. Dr. Mary O. Wykle, Ph.D. is an adjunct professor of physical education at Northern Virginia Community College and her company, MW Associates, offers consulting workshops in health and aquatics. Mary is a long-time instructor for the Aquatic Therapy and Rehabilitation Institute and regular presenter for the Aquatic Exercise Association and IAFC and is a member of the AEA Advisory Board. She is a member of the International Swimming Hall of Fame International Committee and also represents U.S. Water Fitness Association on the National Alliance for Nutrition and Activity. Mary continues to swim as a member of the Curl-Burke Masters swim team. In addition to her aquatics activities, Dr. Wykle is outgoing Chair of the Visiting Committee for the West Virginia University College of Physical Activity and Sports Sciences, previously the School of Physical Education. Dr. Wykle is recognized for program development with emphasis on core strength and balance training. She is currently is in charge of the development and training of the Aquatic Rehabilitation and Aquatic Warrior Exercise Program for the Armyï¿½s Office of the Surgeon General and specifically for the Proponency Office for Rehabilitation and Reintegration. Her Aquatic Pi-Yo-Chiï¿½ course (Pilates, Yoga, and Ai Chi) with supporting manual and DVD is a specialty certificate program for AEA. She also developed the course and wrote the manual for Risk Awareness and Safety Training and the renewal course, Risk Awareness in Therapy Settings, the recommended risk management training for aquatic practitioners. Mary chaired the development committees and wrote Safety Standards & Guidelines for Therapy Pools and Safety Standards for Aquatic Therapy Practitioners. Other aquatic presentations and publications include Lumbar Stability/Low Back Pain Certificate Program, Lumbar/Pelvic Stability for Spinal Fusions, Balance and Gait workshops, Core Strength, Suspended Pilates, Ai Chi for Lower Extremity Amputees, Transitioning Sports Rehab to Water, Grounding Ai Chi, Aquatic Risk Management, Essentials of Aquatic Safety Programming, and Program Validation through Research in Aquatic Therapy. Mary's recent recognitions include: the Global Award ï¿½ Lifetime Achievement from the Aquatic Exercise Association (2010); the International Swimming Hall of Fame John K. Williams International Adapted Aquatics Award (2007); the Aquatic Therapy & Rehab Institute Aquatic Professional of the Year (2006); and the Northern Virginia Community College Award of Excellence for Service and Teaching (2006-2007). Previous awards include the ATRI Tsunami Award (2004) and Dolphin Award (2002); selection to Who's Who in Aquatics (2002-2003-2004); four awards of the United States Army Outstanding Civilian Service Medal; WVU School of Physical Education Hall of Fame; the American Red Cross Clara Barton Honor Award for Meritorious Leadership; two awards of the American Red Cross special Citation for Exceptional Service; and Volunteer of the Year awards from various communities and associations. Mary can be contacted at mwykle@aol.com, or www.mwaquatics.com.